Everyone has a different point of view even if it’s the same object because of the differences in our experiences and memories. The details we see first may bring up a certain thought or a fragment of a memory from the past, and that is what being conscious is. 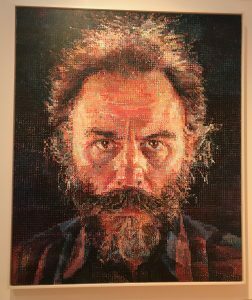 Looking at Chuck Close’s artwork, Lucas I, a person who doesn’t know the artist’s purpose may simply see blobs of colors. They may see swirls of colors enclosed in small boxes and think, what a weird and meaningless work. 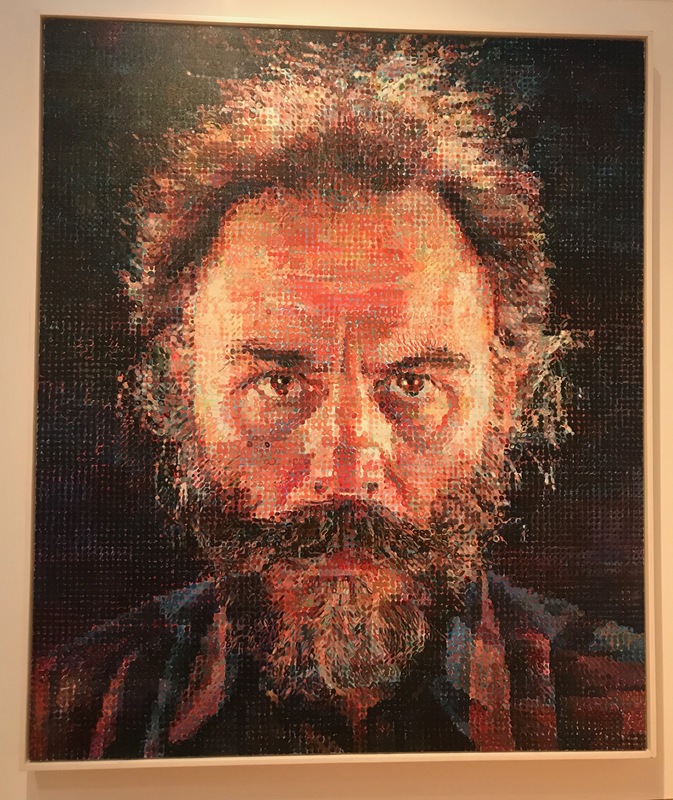 However, as the viewer grows more conscious of the artist’s purpose and learns to take a step back and look at the picture as a whole, they learn the blobs of color actually form a portrait. Having a innocent view is like a blank canvas, ready to be colored and filled in. That person can see whatever they want and think whatever they want, and this may result in even more stunning interpretations of a simple work. however, sometimes filling in that canvas with the author’s thought gives a point of view the blank canvas may have never been able to think of.